Cinematic, complex and progressively minded jazz fusions from that most dependable bastion of European funk, Sonar Kollektiv. An album filled with sophisticated instrumental exchanges and careful arrangements, this is a real feast for the ears, bringing to mind Cornelius and Air as often as it does the usual round-up of SK-style sounds. 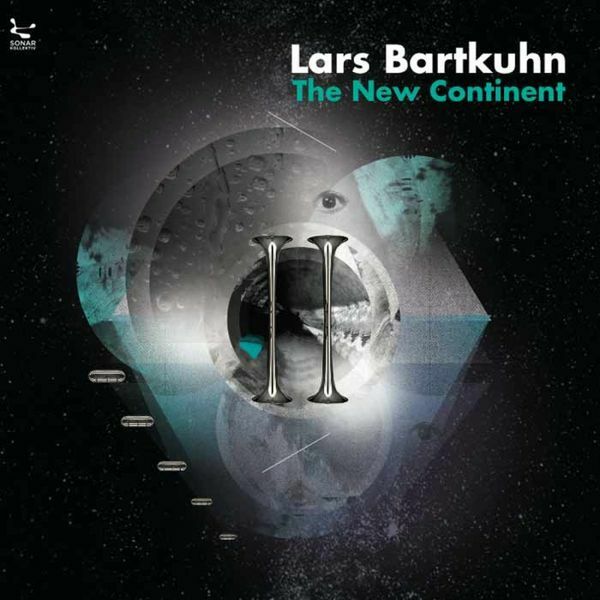 "The New Continent is the third album by Sonar Kollektiv's Lars Bartkuhn. The talented artist from Frankfurt is a passionate music lover from his earliest childhood on. Lars grew up with the sound of The Beatles and The Beach Boys in his ears and never stopped exploring the world of music from jazz to rock over to funk and to Brazilian music. He also has a long-standing experience as a professional musician. He played in many different formations from jazz quartets to funk crews over to Brazilian bands and fusion combos, where he refined his skills and discovered new vibes in music. Through his search of harmonies Lars innovates and bridges the gap that between all the different styles of our contemporary music landscape to create a musical masterpiece that will take you to some unexplored musical lands."